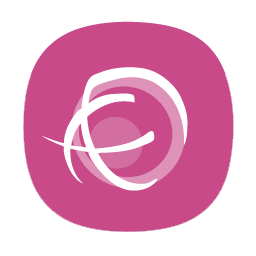 The Autumn 2016 Newsletter and Workshop Schedule is here! 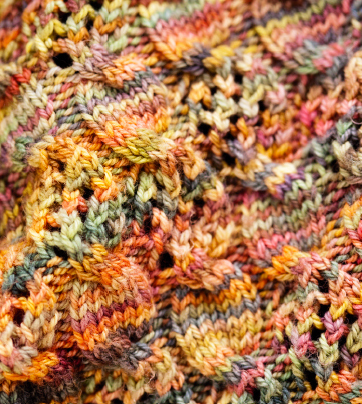 While we might still seem to be waiting for Summer to arrive, you’ll be pleased to hear that our Autumn Schedule has just been printed and it contains a treasure trove of workshops, plus a free pattern from Malabrigo. 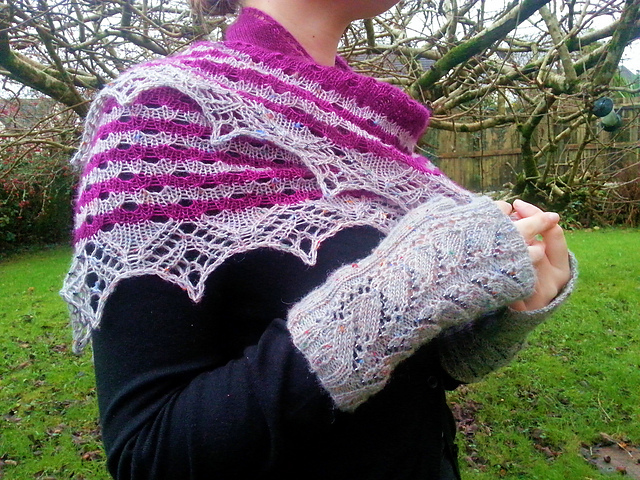 Knitting the Octavia Shawl with Anniken Allis – a stunning new lace shawl, which you can accessorise with matching fingerless mitts afterwards! A NEW, advanced Moebius Cowl designs workshop from Alison Crowther Smith, plus a workshop learning her cute new owl themed mitts. 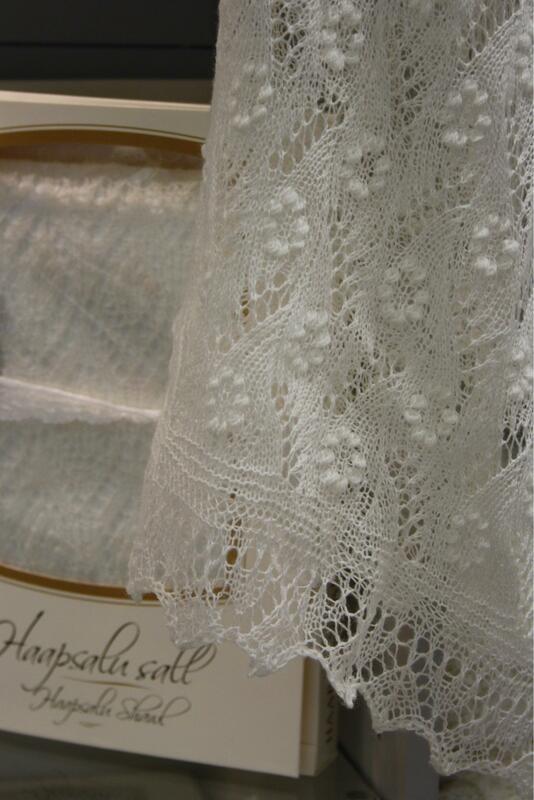 An exciting opportunity to learn all about Estonian lace knitting with a new teacher, Ethel Hiller. 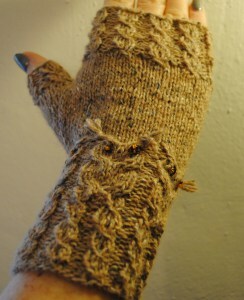 You’ll learn some of the history and the main techniques needed for this exquisitely delicate knitting style. We also have new workshops from Claire Crompton, Di Stewart and another of our very popular Spinning Workshops coming. 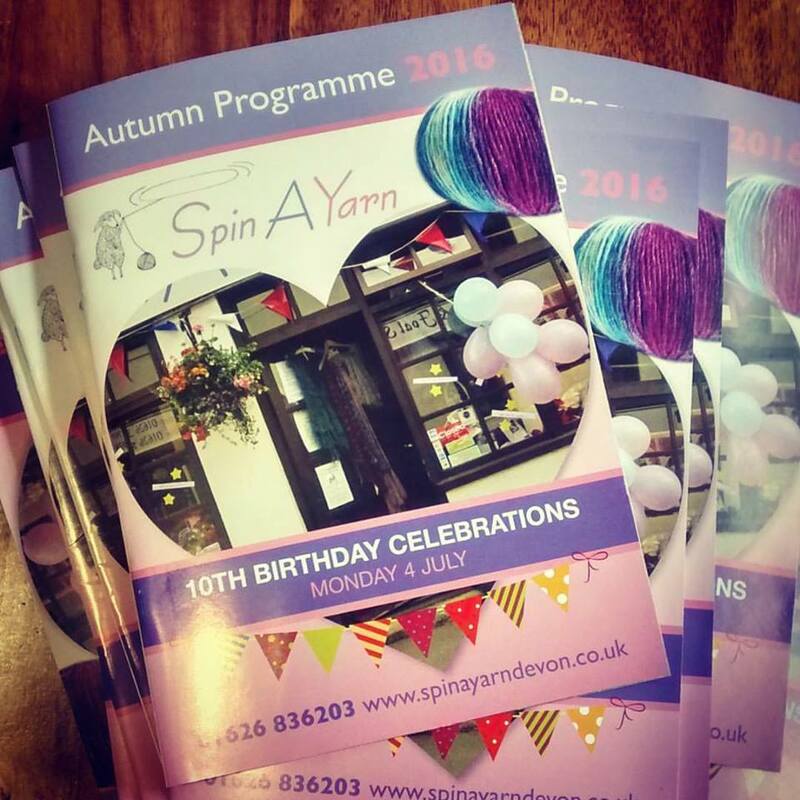 Keep an eye on your post over the next week or so – if we don’t already have your current postal address, just drop us an email at customerservices@spinayarndevon.co.uk and we’ll make sure you get one. Many of our workshops sell out very fast, so don’t delay booking when your programme arrives! Plus…If you pop in to the shop to collect your copy, you can even book your place there and then. Heather is a talented designer, graduate in Textile Design from the Chelsea College of Art, and local girl with a real love of British yarn. We’re thrilled that she has designed a new pattern exclusively for Spin A Yarn, using Rowan Felted Tweed – one of our favourite yarns. Trendlebere is a relaxed raglan jumper, which can be knitted in any DK yarn – it can be knitted in one colour or with contrasting ribbing, and has a swing-fit and some drape for a contemporary look. Felted Tweed comes in a wide variety of rich tones and neutrals, and with it’s blend of merino wool, alpaca and viscose, knits up to create beautifully light and warm garments. If you’d like to substitute another DK yarn and aren’t sure how it will knit up, just ask us in the shop and we’ll help you choose something. You can buy a copy of Trendlebere in the shop for £3.00, enquire to order it though our website here or we’re hoping to make it available to buy on Ravelry.com soon! If you knit it we’d love to see your photos – either share them on Facebook or Instagram (@spinayarnshop), or if you’re on Ravelry and you’ve set up a project for it, do let us know – here’s the listing on Ravelry. We’re going to be commissioning more patterns soon….what would you like to see? Let us know through our contact form here.